I have always been surrounded by dogs of one breed or another. My first purebred just happened to be a Weimaraner, and that was 9 ½ years ago; the rest is history. 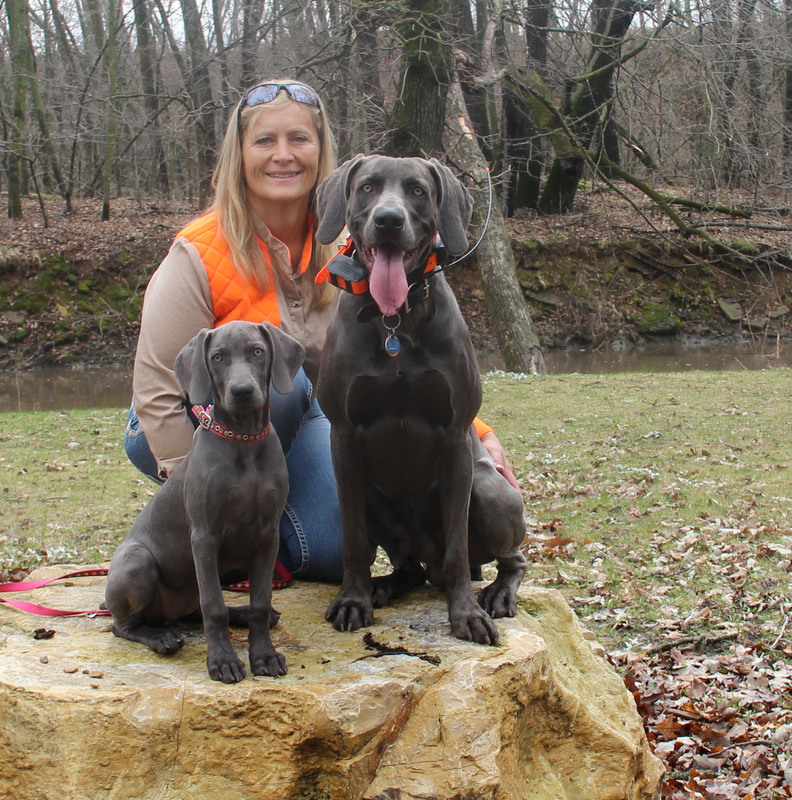 I became involved with blue Weimaraners after I adopted one that I was fostering. I am a member of the Upper Iowa Training Club (UITC) and I have trained dogs in obedience, rally, and agility. I am a fairly new member of the North American Versatile Hunting Dog Association (NAVHDA) and the Iowa Hawkeye chapter. I am learning how to train a hunting dog and my blue boy Bo will be running in the Utility test later this year. I have been involved with our state rescue since 2009. I am the treasurer and serve on the board of directors. I also foster, transport, make home visits, coordinate topics/speakers for our annual educational seminar, assist with fundraising and most anything else that needs to be done. My first blue Weim was killed in a trap a short 14 months after I adopted him. I am outspoken on the dangers traps pose not only to our hunting dogs but also to our companion animals. I urge everyone to be aware of their surroundings, learn how the various traps operate, and always carry the proper equipment to free your dog if he should become caught in a trap.